Developed by Franklin Mint founder Joe Segel in 1986 as an alternative to the Home Shopping Network, QVC (which stands for Quality, Value, and Convenience) has taken the notion of “theatrical retailing” and turned it into a $9 billion dollar business. Hosts work 24 hours a day to beam live product demonstrations to consumers, chirp greetings to callers, and find new ways to extol the benefits of leaf blowers. But behind the porcelain-veneer smiles churns a relentless machine that works very hard to make everything seem very casual. Take a look at some of the channel’s top selling points. 1. THEY RE-INVENTED HOME SHOPPING. The concept of home shopping was popularized by Bud Paxson, an AM radio station owner who settled a debt with an advertiser by accepting 118 can openers that he sold over the dial to listeners. Paxson brought the idea to television in the form of HSN; Segel thought the presentations were tacky. In starting rival QVC, Segal hired more polished hosts—and more importantly, gave cable providers a percentage of sales. In return, QVC would get a higher channel assignment and more eyeballs. 2. THEY LAUNCHED WITH A SHOWER RADIO. QVC went live on November 24, 1986, with host John Eastman presenting a Windsor Shower Companion for $11.49. Sensing Eastman would probably hit a ceiling on how he could demonstrate such an item without rolling out a tub, the production also offered a live drawing that resembled a Power Ball segment: customers that had a credit card matching the four-digit number were entered into a $25,000 sweepstakes. The channel took $7,400 worth of orders that day. Fifteen years later, on December 2, 2001, the number was $80 million. 4. MIKE ROWE GOT HIRED FOR SELLING A PENCIL. 5. HOSTS HAVE IT ROUGH. There may be no more vastly under-appreciated job than that of home-shopping host: in addition to finding fresh ways to peddle jewelry, salespeople have to interact with callers, come to the broadcast armed with product knowledge (some even take tours of manufacturing facilities), and monitor production directions via an earpiece, all without cue cards or teleprompters. If all this sounds difficult, it is: hosts are nominally given six months of training. But the really hard part is getting hired. Of the 3,000 people who came to an open audition in 2007—including actors, journalists, and former guests—only three made it on air. 6. BUT IT’S WORTH IT. Those who can successfully juggle the demands of home-shopping traffic control and endear themselves to viewers are rewarded. While QVC maintains hosts receive no commissions, popular personalities can earn upwards of $500,000 a year for being well-versed in cookware. 7. MARLON BRANDO WANTED A JOB THERE. According to Brando’s secretary, Alice Marchak, the actor was in dire financial straits in 2001 and was looking for any opportunity to become solvent again. He began suggesting that he appear on QVC, though his ideas—like an earthquake-proof house—weren’t practical for the channel. Instead, Marchak told him to consider selling a DVD instructional on acting. Brando took to the idea and invested $50,000 in filming his (increasingly bizarre) seminars on the craft. The footage was so unwieldy that Brando never wound up on QVC. He died in 2004. 8. THE SALES PITCH IS REALLY A “BACKYARD FENCE” CHAT. 9. THEY HAVE OUTLET STORES. Ever wonder what happens to unsold merchandise? It’s all gotta go! The company maintains a small number of retail outlet stores, including two outside the Philadelphia area, where customers can browse in person. Fans can also take a studio tour of the company's facilities in West Chester, Penn. According to NBC, QVC’s web presence got taken for over 1,800 items in 2005 thanks to a glitch in their programming. A Greensboro, North Carolina woman named Quantina Moore-Perry discovered she could order items from the site, request a refund, and still get her shipment. She pled guilty to wire fraud and forfeited the profits from her deed, which totaled over $400,000. 11. THIS HOST IS THE SAME GUY FROM EVIL DEAD II. Rick Domeier got his QVC hosting gig by pretending to be his own agent, telling executives that “this Domeier guy” was talented. He’s still with the channel, 21 years later. While QVC’s audience has gotten used to him, horror fans probably do double-takes: an experienced actor, Domeier portrayed Ed Gotley, a hapless victim of the Deadite curse in 1987’s Evil Dead II: Dead by Dawn. Groovy. 12. GUESTS NEED TO TAKE A CLASS. 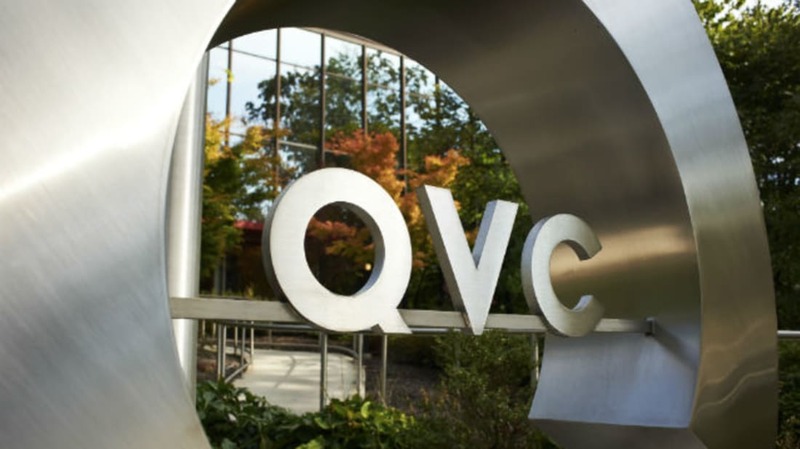 While hosts do much of the heavy lifting, QVC’s guests—the inventors, owners, or experts that appear alongside them—don’t necessarily have broadcast experience. To make sure they don’t come off as overly stiff, the channel sends them to a kind of broadcast boot camp: guests are asked to discuss a product, chat conversationally into the camera, and not melt into a sweaty mess on live television. If a vendor can’t accomplish that, some services offer on-air talent for hire. 13. THE HOSTS RELEASED A CHRISTMAS ALBUM. Further proving that QVC hosts have developed a familial relationship with viewers, the company released a holiday album with recordings from several on-air personalities. Holiday Favorites from the QVC Family featured popular hosts like David Venable and Lisa Robertson covering hits like “Silent Night.” It might be the channel’s concession to skipping just one day of programming a year: Christmas is the only day nothing airs live. 14. FAINTING WON’T STOP THEM FROM SELLING.